After weeks of unrest and moaning, Charlton forums have been working overtime as the natural instinct and trait of the addick came to the fore, we have finally seen some action. Boardroom changes may have happened a little earlier than was forecast, stories of bad blood have been rife, all amidst other tales of how the funds the new owners brought to the club have run out. 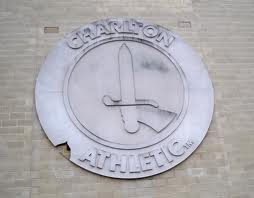 The Charlton life forum could, at times, have been mistaken for a Glasgow Rangers site. Today is a happy day though. Things are happening in SE7, and all without breaking the bank. A young striker, Jordan Cook, has signed for the club. Having been released by Sunderland at the end of last season, the 22 year old has signed a two year deal. He may have made only three appearances for Sunderland, yet loan spells with both Walsall and Carlisle have brought him to the attention of Chris Powell. Cook is quite a versatile front man being more than capable performing a selection of attacking roles, at League One level anyway. He is obviously squad strengthening material at the moment albeit a great prospect for the future (don't get too carried away just yet), and coming from the north east Jordan will be great company for Michael Smith both on the training field and off it. Other news today from the club reports that the large stone club emblem on the outside of the north stand is to come down. Erected eleven years ago it has looked shabby for a while and in some respects mirrored the club of late. As we rise though, so does the badge. PHB construction, a firm that, apart from being club partners, are responsible for the Sparrows Lane renovation are sponsoring (i presume that means paying for) the work. Replacing it is an aluminium version of the same size which I'm led to believe will be painted in the club colours. The new club crest will be hanging from the wall in time for new season kicking off. Good news on a Monday morning then. I fail to see why Bob Geldof struggled with them so.